Pro Stock Leather - American steerhide prized by professional players for its rugged durability and unmatched feel. 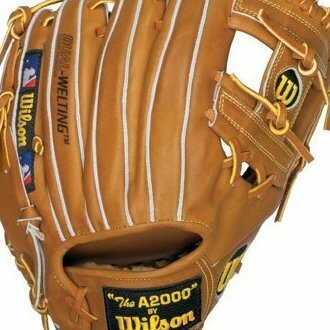 Only 500 of these gloves were produced as part of the 2012 Limited Edition Glove program. Pro Stock Patterns - exclusive hand designed patterns continuously improved by Aso-san and the Wilson Advisory Staff. Dri-Lex - ultra breathable wrist lining that transfers moisture away from the skin. Reduced Break-in Time.